Calls and emails keep coming into the NBC Connecticut Troubleshooters about problems you were having with the Connecticut Department of Motor Vehicles new computer system. The biggest issue appears to be a growing number of people telling us about getting pulled over for having a suspended registration, when in fact there is no reason their vehicles should be suspended. 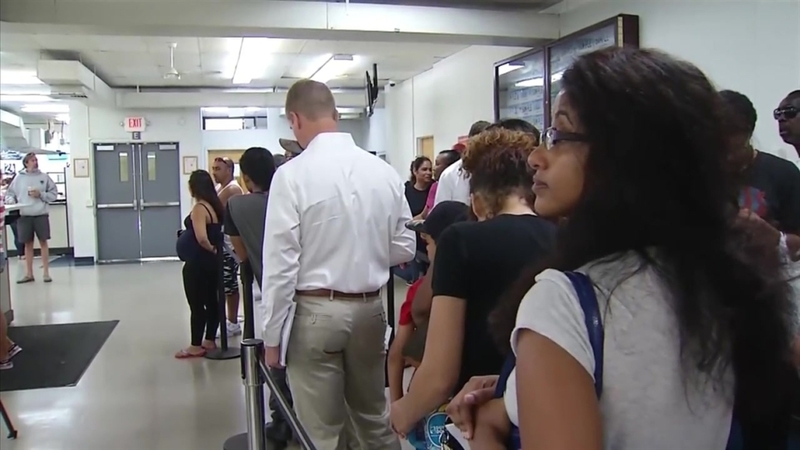 The NBC Connecticut Troubleshooters have confirmed with the DMV that this problem does not just involve a backlog of paperwork, we have learned there was a problem with the new software computer code that was fixed just three weeks ago. Joanne and Ian McDaid tell the Troubleshooters that Monday he got pulled over, fined, ticketed, and towed for a suspended registration on his truck. The couple got a warning letter several months ago months ago that the registration could be suspended because of an apparent insurance lapse. As it turns out the McDaids had just switched insurers and even had overlapping coverage for a while. They had responded to the DMV with proof of insurance immediately, but it was apparently never read. Now Joanne McDaid says "I just need to know what to do is there any way to get any of this money back because it's not our fault. I'm carrying insurance on our vehicle like I'm supposed to, I've submitted all the paperwork to the DMV, but I'm the one that's being reprimanded." Bottom line: people who get pulled over and ticketed and are willing to pay the $200 fine must go to the DMV and get their registration restored, or wait perhaps weeks to clear it up with the agency's insurance compliance unit. Otherwise they can't drive their vehicles. McDaid says that won’t work for her because they are "in the middle of trying to move so we definitely need the truck." And McDaid is not the only one feeling the heat. Insurance agent Katie Sartor says her agency has been flooded with calls from frustrated clients who have received letters from the DMV saying their insurance had lapsed and they were going to have their registrations suspended. “These people have all had continuous insurance and they want proof so we send it in. Our clients are coming back saying my registration is suspended still. And it puts us in a bad place. They think we’re not doing our job or questioning it at the very least. We are! And the DMV is not helping us out at all!" •	If drivers are erroneously ticketed for having a suspended registration, once DMV is notified by the customer, a letter is issued to the customer indicating that the registration was suspended in error and the customer can present the letter to the Centralized Infractions Bureau or the court, to avoid having to appear before a judge in court. •	The DMV will be discussing how to handle this problem with false positives on driver registrations going forward with law-enforcement.